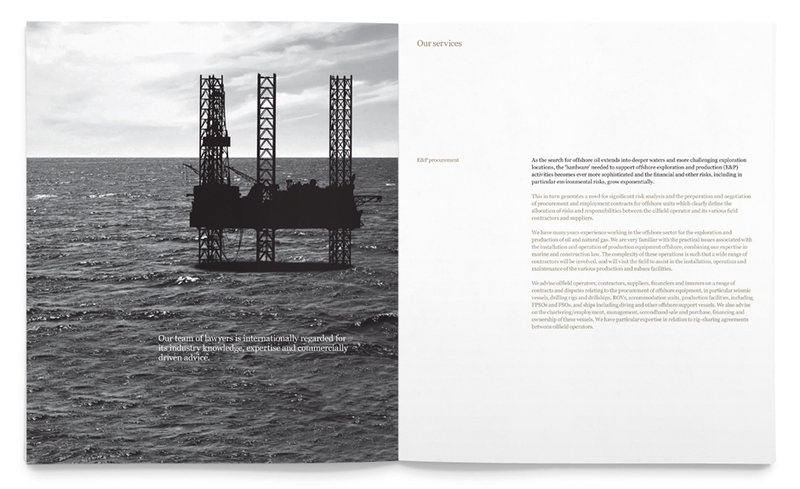 CDG is a specialist law firm serving the energy and shipping sectors. 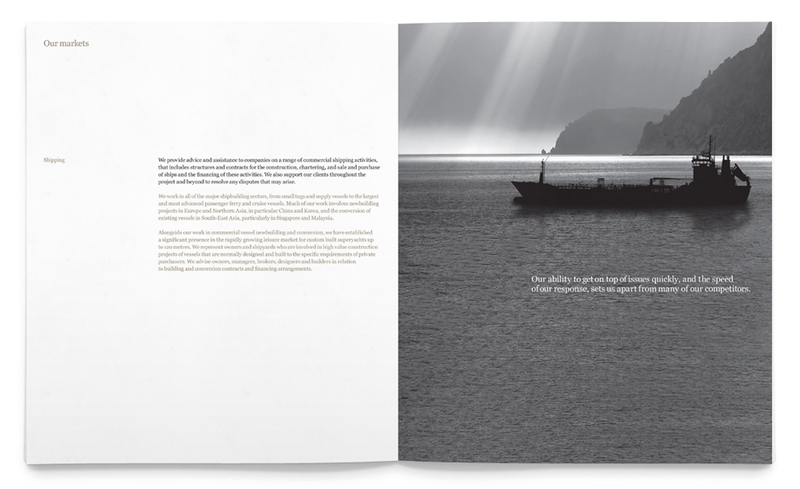 Its lawyers represent clients worldwide, including ship owners, shipyards and leading oil and gas companies. 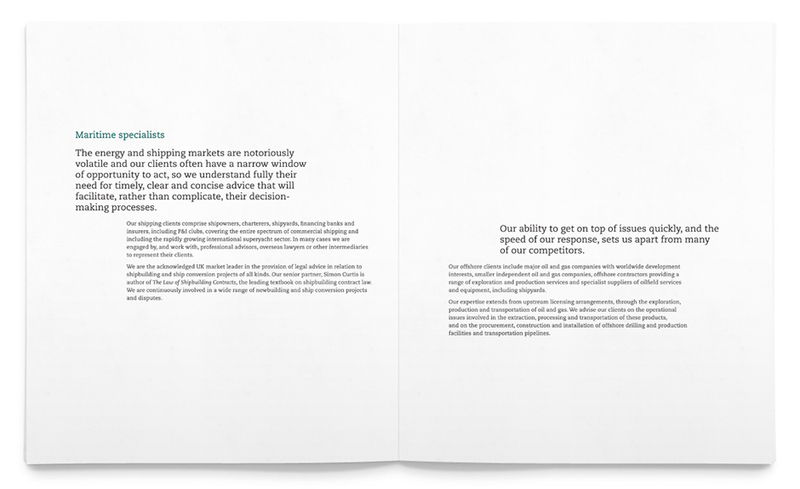 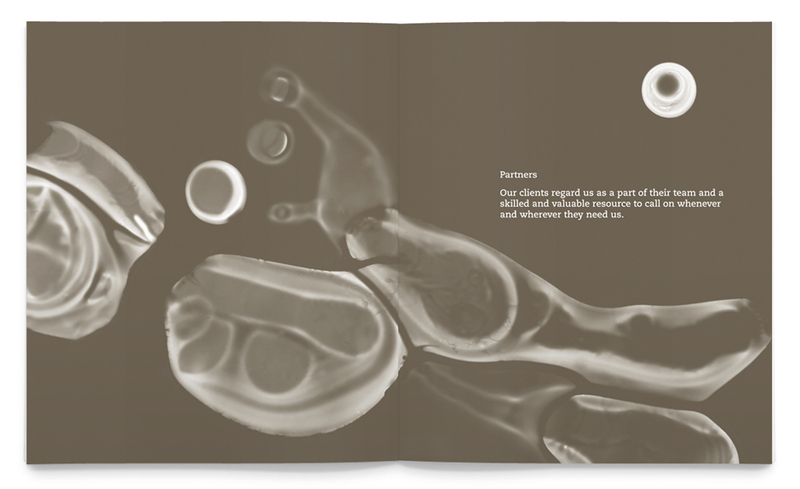 A corporate brochure was a key part of the rebrand. 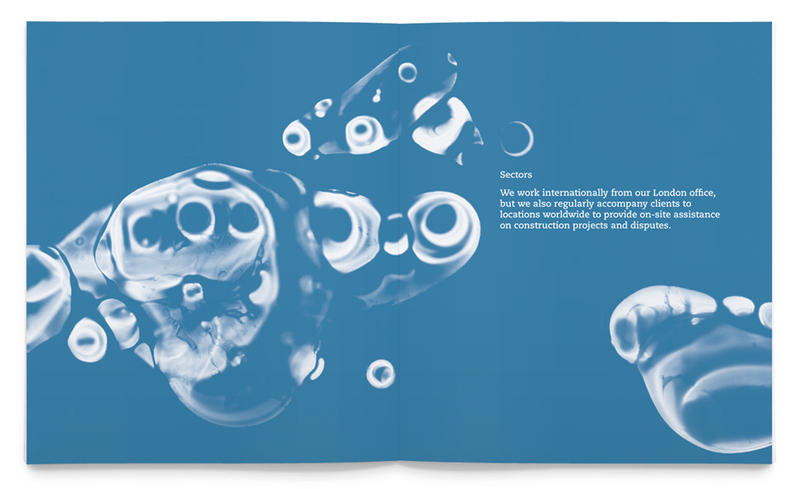 Our idea was to express the elemental essence of the CDG world and distinguish it from its clients. 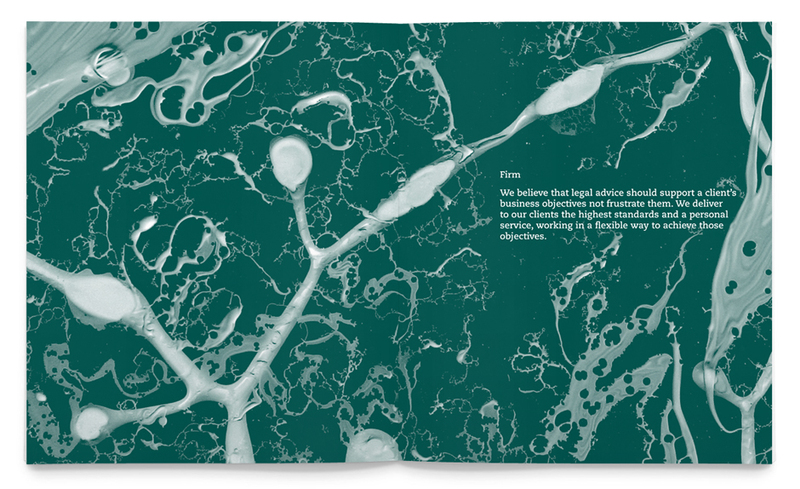 To realise this we created a series of images that we made from the interaction of oil and water and, in conjunction with the corporate colour scheme, used it as the brochure divider pages. 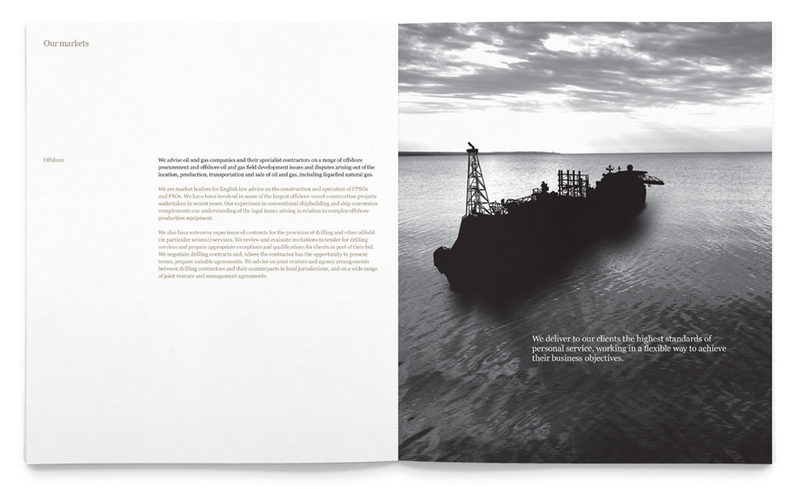 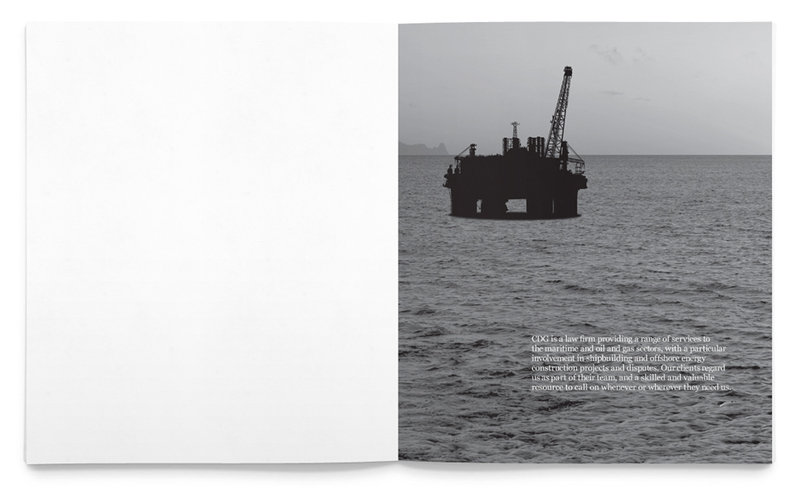 A second edition to mark the relocation to the City of London became necessary, using a set of 12 unique images of iconic vessel silhouettes in ‘marine-scapes’.